The Committee, with the Deputy Minister of Trade and Industry also present, held a colloquium on beneficiation. The Committee received brief presentations from the Centre for Competition, Regulation and Economic Development, the Industrial Development Corporation as well as the South African Mining and Development Association. It was noted at the outset that the government had started with the second phase of radical economic transformation. However, there were several structural economic problems in the South African economy, which demanded changes, otherwise government would not be able to deal with the economic challenges. The State must take the lead in driving the economy. The Centre for Competition, Regulation and Economic Development pointed to the problem of market power in upstream industries, and said it was notable that some firms had been able to entrench dominant positions and exert market power, particularly when they had, since the apartheid days, been in such a position. This had led to concentration and weak competition. The competition law could be used to discipline excessive market abuses. Beneficiation amounted to removing discrimination against local industry, and the importance of downstream manufacturing was emphasised. Dr Paul Jordaan noted that the New Growth Path sought to address uncompetitive pricing and that it, together with the National Development Plan (NDP), recognised the importance of minerals as a new way of industrialisation, and that destructive monopoly pricing must be addressed. South Africa had the potential to move to effective production. Beneficiation included building knowledge, and South Africa needed to establish a coherent strategy. Other challenges included lack of sufficient research, development and innovation capacity, shortage of maths, science and economics skills, lack of local content value-add and insufficient incentives. The Industrial Development Corporation described its beneficiation strategy, and said that it sought to transform the domestic mining sector by promoting BEE ownership and participation, attracting foreign partners, as well as facilitating the development of industrial parks and developing incubators. The Competition Commission outlined that whilst import parity pricing (IPP) was not in itself a contravention of the Competition Act, it could be regarded as market power, and reiterated that challenges to local customers and producers arose through uncompetitive practices. 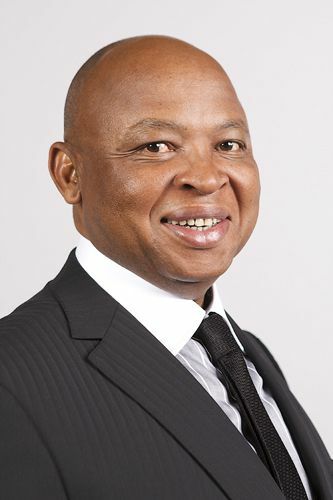 The South African Mining and Development Association suggested the need to achieve economic emancipation and said that there was not yet sufficient black ownership of mines, largely because of lack of access to finance and other inherent barriers to both ownership and proper beneficiation. Beneficiation was already covered in legislation, and much could be done without the need to further change the law. Members stressed the need for a focus on both beneficiation and industrialisation, asked about the links between the New Growth Path and National Development Plan, and noted that transfer pricing needed attention. They stressed the need for better coordination within government, when dealing with mineral resources. They believed that some of the proposals were interesting but wondered if they were workable, and asked how constitutional IPP pricing was. The IDC itself was cited as having engaged in this, and Members agreed that this was a topic that needed to be looked into in the future. Members also said that problems in infrastructure and education must be considered in tandem with others, but made the point that if there was the right amount of political will, these challenges could be addressed, with the appropriate links between public and private sectors. They asked that the Competition Commission should make a specific presentation to the Committee on transfer pricing, to allow Members to engage on possible solutions to the problem. Significant transformation would have to be achieved to realise the ideals set out in the National Development Plan. The Chairperson said that the purpose of the colloquium was to identify blockages in the trade and industry sector and recommend proposals to alleviate them. She noted that Professor Ben Turok was present, and said that he was a veteran in this field and had taught many that the nature of intellectual conversation meant that people did not always agree. She also acknowledged the presence of the Deputy Minister of Trade and Industry Mr Mzwandile Masina, and reiterated that the colloquium was not a typical Committee meeting. Time was short, and for this reason those presenting tried to summarise their presentations, as full written copies (see all attached documents) were available. Mr B Mkongi (ANC) was afforded the opportunity to make opening remarks. He stated that the ruling party and government had started the second phase of radical economic transformation. He said that the structural economic problems inherent in the South African economy demanded that there be structural changes within the economy to combat these problems directly. A failure to focus on these structural problems would mean that government would not be able to deal with structural economic challenges and those issues needed to be dealt with specifically. He added that the state had an upper hand in driving the economy and that the colloquium would examine the broad mandate to deal with issues. The Chairperson thanked Mr Mkongi for his input. Professor Simon Roberts, Director, Centre for Competition, Regulation and Economic Development, started off by addressing market power in upstream industries, stating that it was notable that some firms were able to entrench dominant positions and exert market power. He said that this was more so when their dominant position had been inherited. He added that assessments of the South African (SA) economy over the last twenty years had shown that there was concentration and weak competition as a result of apartheid policies, particularly in the minerals-based industries. He said that competition law was a possible mechanism in which to address conduct of these firms to discipline exertion of market power. He clarified that beneficiation was about removing discrimination against the local industry. He added that downstream manufacturing was also important for inclusive growth, but this required competitively priced inputs, access to finance, as well as appropriate technology. He also referred to the Sasol Chemical Industries (SCI) case, which had concluded that the SCI’s monopoly position was detriment to innovation and development for the domestic manufacture of downstream plastic goods. It was then decided that the SCI could not discriminate on the grounds of location, which set a precedent for what the Centre was able to achieve in this regard. The Chairperson thanked Professor Roberts for the presentation and added that succinct issues were raised. She said that the Committee would return to those during the discussion. Dr Paul Jordan presented on the New Growth Path policy (NGP) 2010 and added that it appeared that South Africa as a nation was incapable of disciplining the main culprits who were causing the lack of job creation. He also added that this New Growth Path policy sought to address uncompetitive pricing and that the National Development Plan (NDP) recognized that minerals could be used as a springboard for a new way of industrialisation. He said that destructive monopoly pricing of mineral feed-stocks needed to be stopped. He added that the narrow definition for beneficiation was value added above a base state (ore, concrete, or metal) and the broader definition was a total domestic value addition, excluding all imported inputs. Thus, indirect beneficiation in the wider economy included building knowledge linkages (through human capital and technology) as well as the building of spatial linkages (hard infrastructure). He said that SA had ample resources for the cost effective production of all critical feed-stocks for downstream job creation, and that Norway and Finland were examples of countries with the latter linkages. Furthermore, he noted that South Africa also needed to use its resources to industrialise and that it needed coherent state beneficiation strategy across a number of critical ministries and departments, dealing with Trade and Industry (dti), Mineral Resources (DMR), Economic Development (EDD), the National Treasury (National Treasury) and Science and Technology (DST). He agreed that monopoly pricing was a problem and this included institutions such as Sasol and Amsa, as this tended to destroy downstream opportunities. He added that other challenges included the disappearance of national mining technology development research, development and innovation (RDI) capacity, shortage of science and technology and mathematics skills, due to the problematic schooling pipeline that led to too few pupils completing matric maths and science, lack of local content value addition and RDI requirements in mining licenses, and lack of mineral value addition such as tax incentives or offsets, as well as a constrained national budget to facilitate. The Chairperson thanked Prof Jordan for the presentation and invited the Industrial Development Corporation (IDC) to present. Mr Mazwi Tunyiswa, Head of Metals, Transport and Machinery Products, Small Business Unit, Industrial Development Corporation, presented on the beneficiation strategy of the Corporation (IDC), which had started in the mid-1990s. He noted that the IDC sought to transform the domestic mining sector by promoting BEE ownership and participation, attracting foreign partners, as well as facilitating the development of industrial parks and developing incubators. He said that, because of time constraints, Members should refer to the summary in the slides in order to get more information on the IDC’s further strategic goals and achievements. Mr Tembinkosi Bankable, Commissioner, Competition Commission, said that import parity pricing (IPP) was not in itself a contravention of the Competition Act, but that in certain circumstances it represented the exercise of market power. He said that local customers were being handicapped and that production of derivative products was not flowing through to competitive prices for the downstream industry. He said that Sasol Chemical Industries case was an example of such anti-competitiveness and that IPP was problematic in industries that were characterized by entrenched dominant firms seeking to protect their positions. He also added that it was likely that these were industries in which the Competition Commission had intervened. The Competition Commission was open to engaging with government departments and other agencies. He said that it could contribute a deep understanding of markets and ensure that proposed solutions would have pro-competitive outcomes. Ms Bridgette Redeye, President, South African Mining and Development Association, suggested that there needed to be a change in mining laws so as to achieve economic emancipation, because there was a lot of worker dissatisfaction in mines. She said that there needed to be a broad based socio-economic empowerment charter for the South African mining and minerals industry. She added that beneficiation was covered in section 26 of the Minerals and Petroleum Resources Development Act (MPRDA), which allowed beneficiation to be championed by the relevant minister. She said that the Mining Board which was set up by government needed to be resuscitated and that the Department of Trade and Industry (dti) had a seat on that board. Section 100(2(a) of the MPRDA also made provision for beneficiation to take place through the board. She further noted that the Mining Charter was created to try to achieve transformation and economic growth in the mining sector, because of the slow transformation pace. She also added that black economic employment (BEE) companies had a problem, as they did not have the necessary funds to acquire ownership of mines, and this led to what she termed pseudo-transformation. She also added that there were inherent barriers to beneficiation, such as skills, infrastructure, funding, and access to raw material as well as competitive platforms. Government had added incentives to enhance beneficiation so as to enhance its importance and try to alleviate the barriers. Mr F Shiva (EFF) said that the focus should be on both beneficiation and industrialisation, when dealing with mineral resources. He said that this needed a proper link with industrial processes and asked Dr Jordan to give a further explanation on the New Growth Plan and how it linked with the National Development Plan, as he sensed a disjuncture. He added that the phenomenon of transfer pricing had not adequately been dealt with and that there was no legislation to stop transfer pricing. He said that there needed to be intra-governmental coordination of industrial policy. Adv A Albert’s (FF+) said that Dr Jordan had an interesting proposal but wanted to enquire if he had considered the risks involved in the bold plan which he presented. He also asked about the constitutionality of IPP pricing. He also asked Ms Radebe to elaborate more on the ownership on the part of BEE companies in the mining sector. Ms Radebe confirmed that BEE companies within the mining sector did not tend to own the mines. This was a result of them not having share certificates and this limited what they could do. She added that ownership was vested in the hands of a few people and that anybody not owning mines was essentially being told how to run them by entities such as the Reserve Bank. Mr Bonakele said that the Competition Commission had tabulated market abuses and that the public sector was not working properly. He said that this was because there was regulatory failure on the part of government, as it failed to intervene decisively. He added that the manner in which the public sector worked was through administration, and furthermore said there was a need to look at the capacity of the state. He believed that government did not need to amend legislation at this point, as the current legislation allowed government to initiate beneficiation. Dr Jordan responded by saying that the current form of our economy allowed for companies to take profits but did not do enough to create them. He said that the IDC was amongst the worst users of IPP and that id did not assist in helping to stop the abuse of pricing. Mr Mzwandile Masina, Deputy Minister of Trade and Industry, said that there was a state mining company in existence but it seemed not to know why it was created and he said that there needed to be regional integration. Mr T Chance (DA) said that a business started with an idea and that abuses were inherent. He enquired whether the availability of minerals was going to lead to the flowering of business, given that constraints were inherent. He said that there were problems in infrastructure and education, as well as the issue of transfer pricing, which he agreed had not to date been adequately dealt with. He also asked Ms Radebe to give an example of how the company she was representing was already beneficiating. The Chairperson added that it would take quite a lot to fix all the things that needed to be fixed, but that it need not be seen as too difficult a task. She said that political will was needed, to facilitate linkages between the public and public sector. She said that this would create behavioural change in the private sector, but that there were other constraints that were inhibiting growth such as transport, insurance and water because as she understood it, those are the things that were needed by the minerals sector in order for it to flourish. Mr Tunyiswa said that the IDC said that they had analysed blockages and that they were working on ways in which to alleviate them. He added that there needed to be more political will and that he wanted to reiterate what the Chairperson had said in this regard. Ms Radebe said that, in relation to ownership of BEE companies in the mining sector, these companies found themselves in much distress. She said that this was because those owning less that 26% of a company could not market their own companies. She said that, as a result, there was more foreign ownership and that more needed to be done to aid this. She said that this could be achieved by being more demonstrative than theoretic. She also added that there had in fact been quite a bit of research done on this phenomenon and would be happy to share it with the Committee. Mr Shivambu suggested that the Competition Commission should make a specific presentation to the Committee on transfer pricing, at a future date, to allow them to engage with possible solutions to the problem. He also asked that Ms Radebe bring her research to the Committee so that Members could also engage on it. The Chairperson agreed, and said that she would liaise with the relevant stakeholders to set this up. Mr Mkongi gave some closing remarks, stating that there was need to deal decisively with the over concentration of resources in the hands of the minority, at the expense of the majority of people in South Africa. He said that the state needed to intervene actively in the economy of the country to deal with industrialisation as well as beneficiation. He reiterated that at present, upstream resources benefited a few people and that downstream resources should be able to benefit the majority of people. He said that the government needed to foster economic growth. He described the current situation as allowing for “daylight robbery”, where there was literally no discipline in competition and import parity pricing. He proposed that there be an inter-ministerial committee, an inter-departmental committee as well as an inter-parliamentary committee for championing industrialisation and beneficiation. He said that these committees would have to enforce compliance with heavy penalties and that both capacity and capability building of the State was necessary. He also noted that the IDC and its location also needed to be adequately discussed, to reach some clear proposals for the future. Mineral Value Chains (MCVs) Resource-Based Industrialisation?